Veeva has an open and collaborative business model focused on customer success. This approach enables Veeva and our skilled, experienced partner community to increase the value we provide to customers through integrated solutions, rich data, targeted content, and extensive service offerings. deliver value and drive customer success. If interested in becoming part of our Services Partner Program, please submit your application here. If you are looking for Veeva CRM MyInsights certified Services Partners, please click here. 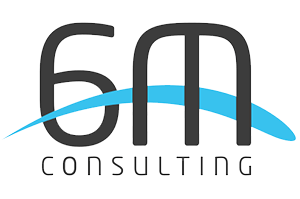 6M Consulting provides focused business and technology solutions to the Life Sciences industry. With decades of experience, our team of experts have completed more than 100 projects and have a proven track record guiding clients through all aspects of the commercial, quality and regulatory journey. We focus on Veeva Vault, providing implementation, configuration, business analysis, data migration, systems integrations and support. Our team expertly deploys, integrates and supports Veeva products across the U.S. and internationally. Patient Inspired. Outcomes Driven. Accenture’s Life Sciences group is committed to helping our clients make a meaningful impact on patients’ lives by combining new science with leading-edge technology to revolutionize how medical treatments are discovered, developed and delivered to people around the world. We provide end-to-end business services plus a broad range of insight-driven services and solutions in strategy, consulting, digital/analytics, technology and operations in all strategic and functional areas—with a strong focus on R&D, sales and marketing, patient services and supply chain. We have decades of experience working with the world’s most successful companies to innovate and improve their performance, operating across the entire life sciences value chain to better serve patients and stakeholders. 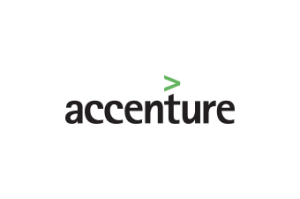 In more than 50 countries, Accenture’s Life Sciences group connects more than 15,000 skilled professionals who are personally committed to helping our clients achieve their business objectives and deliver better health and economic outcomes. 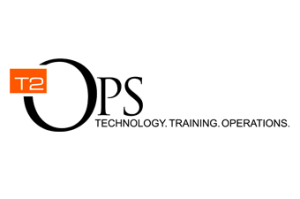 Afore specializes in Commercial Systems Management to deliver best-in-class technology, data management, and managed services support for Emerging, Small and Medium Life Science companies. Our experts have led Biopharmaceutical Commercial Operations teams as well as the industry’s leading data and technology firms. We’ve been in your shoes, and we’ve helped develop and deploy many of the industry’s leading sales, marketing and compliance solutions. Afore is recognized as a Veeva services partner with implementations and support of Veeva CRM, Vault, Network, OpenData and Events. With Afore, there are no handoffs. We remain dedicated well after project completion, providing our clients with long term support resources and guidance to ensure everything continues to operate smoothly and efficiently. Boston Technology Research (BTR) is an innovative and dynamic company with a focus on the Life Science industry. Established in 2011, and headquartered in Boston, Massachusetts, BTR has grown rapidly and now has offices in the US and Europe. Our professional services division specializes in Quality Systems / Risk Management, IT / Regulatory Compliance, Computer Systems Validation (CSV), Auditing and Training. As a Veeva strategic Quality and CSV partner, BTR has been instrumental in the deployment and validation of 250+ Veeva Vault implementation. In addition to that, BTR’s main focus has been the creation and validation of baseline packages for all Vault upgrades that are made available to the clients. BTR has also been committed to helping with the Change and Release Management maturity model for the Veeva clients, and Vault University projects. Our proprietary methodology, pragmatic approach, flexible resourcing model and deep compliance expertise, have helped our clients achieve their compliance goals without exhausting their resources and budget, making Boston Technology Research the best choice for Fortune 500 and innovative early-stage companies. C3i Solutions, an HCL Technologies Company, is a leading provider of support services for life sciences. Over 80% of the world’s top pharmaceutical companies entrust their technology support to us. Our ISO 9001:2015 certified global centers deliver service desk, clinical IT, remote hardware depot and kitting services in more than 25 languages. C3i Solutions is recognized as a Veeva services partner. Currently, we support 51,000+ Veeva end-users globally and have trained 52,000+ pharma professionals worldwide. 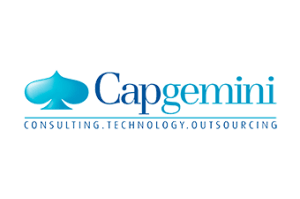 With more than 180,000 people in over 40 countries, Capgemini is one of the world’s foremost providers of consulting, technology and outsourcing services.­The Group reported 2015 global revenues of EUR 11.9 billion (about $13.2 billion USD at 2015 average rate). Together with its clients, Capgemini creates and delivers business, technology, and digital solutions that fit their needs, enabling them to achieve innovation and competitiveness. A deeply multicultural organization, Capgemini has developed its own way of working,­ the Collaborative Business Experience, and draws on – Rightshore®, its worldwide delivery model. Founded in 1976, CGI is among the largest independent IT and business consulting services firm in the world. With 73,000 professionals across the globe, CGI delivers an end-to-end portfolio of capabilities, from IT and business consulting to systems integration, outsourcing services and intellectual property solutions. CGI works with clients through a local relationship model complemented by a global delivery network that helps clients digitally transform their organizations and accelerate results. With annual revenue of C$10.8 billion, CGI shares are listed on the TSX (GIB.A) and the NYSE (GIB). Cognizant’s Life Sciences practice is committed to helping change millions of lives for the better by partnering with clients to build solutions to healthcare challenges, continually improve the way they do business, set the pace in clinical development, strengthen their regulatory infrastructure, and increase competitiveness. 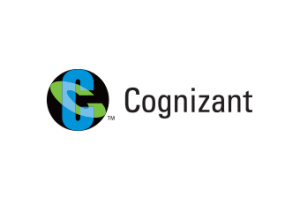 Cognizant serves 28 of the top 30 global pharmaceutical companies, nine of the top 10 biotech companies, and 12 of the top 15 medical device companies. With a large team of dedicated professionals including doctors, pharmacologists, physicians, biomedical engineers, pharmacists, biostatisticians, medical writers, and GxP consultants, the practice provides domain-aligned consulting, IT, business process, software-as-a-service solutions globally. 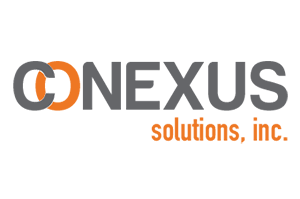 Conexus Solutions Inc. is a service provider of end-to-end outsourced Commercial Sales Operations for the Pharmaceutical and Life Sciences industry. Our offerings include Tier1 and Tier2 support for end-users of entire Veeva product suite. We also specialize in CRM and Vault implementations including ongoing support, data management, systems integration, reporting and analytics. We have developed and implemented several cloud-based solutions using our extensive domain expertise to complement and expand our service offerings. Our innovative implementation approach, technical and operational expertise helps us accelerate implementation timelines and streamline ongoing support activities. Deloitte’s life sciences and health care practice comprises 7,300 professionals in over 90 countries that provide audit, consulting, digital, financial advisory, risk management, and tax services. We understand the complexity of today’s life sciences challenges, including the journey to reimagine patient and physician engagement, innovate and grow, and lead clients through the challenges that each part of the journey can bring. We have a proven track record of implementing Veeva and salesforce.com globally and bring deep experience in business process improvement, change management, user adoption, data integration, and technology adoption. Our position is simple: If behavior doesn’t change, the training didn’t work. 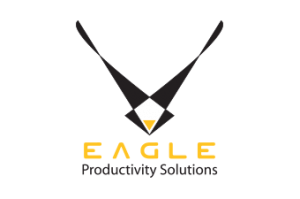 Eagle is a top-rated global provider specializing in the design, development, and delivery of training and communications. Since 1988, we’ve delivered measurable, high-adoption results to our customers in life sciences – in over 40 countries, 20 languages. We work with 18 of the top 20 pharma companies. Eagle provides scalable solutions, partnering with customers to create custom training designs that change behaviors and turn insight into action. 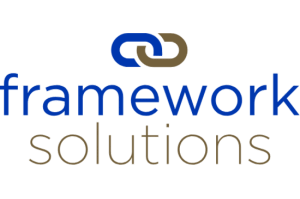 Framework Solutions, Inc. (Frameworks) is a leader in process management solutions for regulated materials review. Since 2009, we have successfully managed over 350,000 assets from submission to completion. We currently work with 40+ Veeva PromoMats and MedComms clients and over a hundred brand teams. Our Process Coordinators, Digital Asset Librarians and Strategic Services Consultants work within Veeva to drive quality, efficiency and compliance. We are process and digital asset management experts. We work with you and your teams to help design, create, and implement strong process to work in conjunction with your Veeva implementation. Whether you’re a large Pharma or Med Device company, a late stage clinical company or an individual brand team or agency looking for optimization, Frameworks is uniquely positioned to help drive the optimal use of your Veeva application. G&M Health, LLC is a health and life-science service company offering compliance consulting, aggregate spend, software validation, auditing & monitoring, hospital credentialing, significant loss threshold (SLT) analysis, training and MLR Committee support. G&M was founded by recognized legal and regulatory compliance experts in the healthcare industry, who have worked with and/or advised over 100 pharmaceutical and biotech companies over the last 20 years. Our mission is to be the premier provider of innovative, quality, efficient and compliance-oriented solutions for the healthcare industry. Genpact Pharmalink combines deep domain expertise with business process transformation and technology for a holistic, regulatory solution. Their regulatory affairs service platform is based on 18+ years of delivering global regulatory support to 8 of the 10 leading life sciences companies. 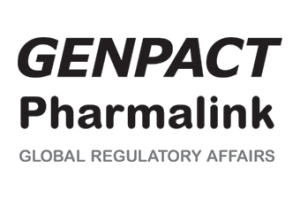 Genpact Pharmalink provides world-class support across the entire regulatory lifecycle from strategy and submissions to complex management of global compliance issues and post-licensing activities. Genpact will integrate with Veeva RIM to increase efficiency and optimize workflow across regulatory affairs. 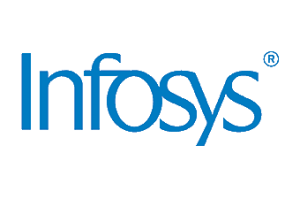 Infosys is a leading enterprise that delivers next-gen digital and consulting services to companies across the globe. We have helped our pharma clients navigate their digital journeys to the next horizon, leveraging our agile digital services architecture. With an AI-powered core and a rich experience layer, we have been able to consistently create new capabilities for our clients, enabling them to embrace innovative business models that are ready for the future. Our core team works on an E2E model in an endeavor to bring value and domain expertise to the field of strategic consulting, clinical trials, patient engagement, medicine, drug discovery, and more! In a bid to reimagine business operations in the Life Sciences industry, we are partnering with our clients to co-create robust holistic solutions such as HCP and Patient Experience, Cloud-based Clinical Trial Supply Management (CTSM), Digital Health, Digital Experience for Sales Rep, Regulatory Information Management and many more. 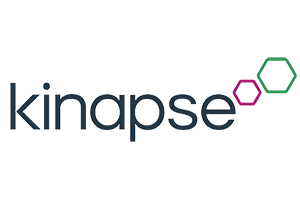 Kinapse provides expert advisory, technology innovation, capability building and operational services to the life sciences industry. We support R&D across Clinical, Medical, Regulatory and Pharmacovigilance. Our deep domain expertise, global delivery footprint and extensive technology partner ecosystem enables to deliver innovative and transformational solutions to our clients. Established in 2005, we now deliver services to 20 of the top 25 life sciences companies. Knowledgent is a data and analytics consultancy that improves lives and business through data. Our expertise seamlessly integrates industry experience, data science, and data architecture and engineering skills to uncover actionable insights. We have not only the technical knowledge to deliver game-changing solutions at all phases of development, but also the business acumen to evolve data initiatives from ideation to operationalization, ensuring that organizations realize the full value of their information. 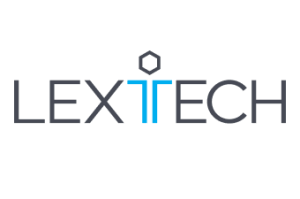 Lextech creates technology power user experiences that drive business results. Our solutions provide an integrated experience that fits that way people work. 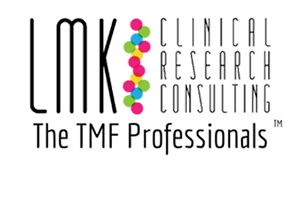 LMK Clinical Research Consulting is an eTMF agnostic team of TMF professionals dedicated to providing document management solutions to the life sciences industry. We provide expert knowledge and experience in TMF consulting and quality document management. We offer custom and comprehensive solutions to meet the needs of pharmaceutical and biotechnology companies and clinical trial sites. Mavens is the life science industry’s premier salesforce.com implementation partner focused exclusively on delivering innovative Force.com and Veeva solutions to pharmaceutical and medical device companies. Mavens brings an in-depth knowledge of the entire Veeva product suite and unparalleled global industry knowledge that results in practical, tailored solutions that work. Founded in 2007, Mavens is headquartered in Chicago with offices throughout the U.S. and Europe. Veeva’s First Implementation Partner. Singular Focus in Life Sciences. Certified Force.com and Veeva Experts. 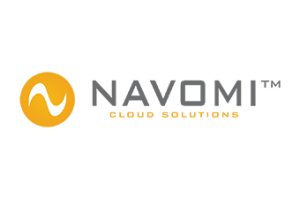 Founded in 2009, NAVOMI is a professional services provider in the cloud and mobile application arena. The company’s core team of technology problem solvers excel in the Veeva platform and provide end-to-end implementations, Solutions Architecture, data/process integrations, mash-ups and large data volume migrations. Our team thrives on resolving tough technology challenges. Our cost effective, secure and scalable “Data N” integration service has seen a rapid adoption with Life Science customers and helps deploy Veeva based integrations fast. As the leading advisor to organizations across the health continuum, PwC Health Industries plays a critical role in helping clients solve an array of emerging complex problems facing manufacturers, service providers, and new market entrants. Working with organizations in each segment, we have gained a deep understanding of the critical linkages between manufacturers, providers, payers, new entrants, and ultimately patients, and how those relationships affect business strategy and operational requirements. 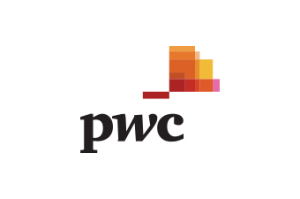 PwC has more than 5,000 professionals serving the health industry including experienced executives, strategists, CPAs, attorneys, actuaries, PhD’s, regulators, physicians, nurses, pharmacists, and technologists. We have invested in developing strategy, operational, and clinical expertise to supplement the firm’s global financial management, tax expertise, and business insight. 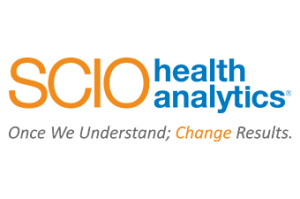 We are recognized by industry analysts as having the greatest level of industry experience and strength of capabilities of any consulting firm in the health industry. Customer Engagement – Turn customers into fans Personalized experiences are what customers have come to expect. Companies that can deliver them successfully—and seamlessly, across touch points—are more competitive and profitable. Delivery Leadership – Think big. Deliver bigger. We get the work done – But we go far beyond that. We’re passionate about doing meaningful, transformative work with you, building strategies that can be operationalized and sustained over the long term. Organizational Effectiveness – Empower your people Your people should never be an afterthought. Meaningful business transformation happens when employees are invested in a shared vision and have the knowledge, tools, and support they need to succeed. Technology Enablement – Invest in your future We believe technology plays a critical role in connecting you to your customers—and connecting your employees to each other. We’re passionate about helping you make those connections. Experience Design – Design a better future User experience design is the art and science of crafting how something works and how users interact with it. We combine research, strategy, and design to create digital experiences that spark your users… and your bottom line. Information Management & Analytics – Put your data to work Together, we’ll mine for insights that are digestible, accessible, and actionable—insights that help you better understand and connect with your customers, innovate faster, and enable your employees to do their jobs better. Strategy & Operations – See the big picture Whether you need to grow and scale, do more with less, or improve customer experiences, we can support you at any stage of your strategic journey. We provide end-to-end technology solutions services designed to efficiently and effectively help our customers develop and implement technology solutions that are driven by business needs. Our streamlined approach starts with a proven process for gathering comprehensive business process and requirements. Those requirements are then used to implement the solution, develop a change management strategy, train employees and continuously update and improve both the technology as well as the operational structure that supports it. We have over 25 years of direct experience in big pharma involved in all aspects of managing business processes from R&D to commercial operations. We understand pharma and speak your language across the many diverse functional areas. Our growing client-base have seen the benefits of an end-to-end, streamlined approach to technology solution implementation. Less waste and redundancy, more consistency and operational excellence. 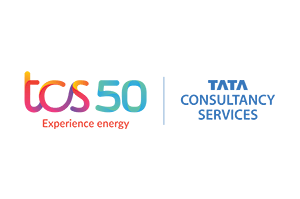 Tata Consultancy Services is a leading global IT services, consulting and business solutions organization that delivers real results to global businesses, ensuring a level of certainty no other firm can match. TCS offers a consulting-led, integrated portfolio of IT and IT-enabled Infrastructure, Engineering and Assurance services. TCS Life Sciences focuses on Pharmaceutical, Medical Devices and Biotechnology companies and offers business led consulting, IT, business outsourcing, platform based solutions, and new-age business solutions including big data, analytics, cognitive computing and IoT. Our offerings help customers accelerate drug discovery, advance clinical trial efficiencies, ensure regulatory compliance, enhance manufacturing productivity, and amplify sales and marketing effectiveness. Trueson is known for understanding business needs and their ability to translate these into technology and reports. Trueson improves your commercial effectiveness by developing MyInsights custom reports. Boosts efficiency and reliability by automating and optimising business process or complex data management. Supports launch programs and services your ecosystem of Veeva solutions reports and data. Are you looking to launch Events Management, optimise your Orders and pricing rules process, and provide your business with MyInsights for a better user experience and efficiency? Trueson is your partner! Veeva Diamond Sponsor Valiance is a data migration specialist, providing customers with a proven combination of technology and methodology that helps companies migrate critical GxP data and content. Migration InSight and the TRUseries of migration, data verification, and job management tools combine to make a unique offering for Veeva clients that ensures a compliant, on-time, on-budget migration from their legacy technology to any Vault modules. Migration InSight defines migration best practices with Valiance’s TRUcompare software for pre-migration testing, to determine how well the legacy system data and content fits into Vault applications. TRUcompare then eliminates the uncertainty of sample-based testing techniques for post-migration testing, by introducing 100% automated verification of migrated data and content. It has been used successfully by many Veeva clients. The TRUseries — TRUmigrate, TRUcompare & TRUconsole — are automated tools that manage the complexities of migration jobs for both the SMB market and the largest data and content migrations Veeva clients have undertaken. 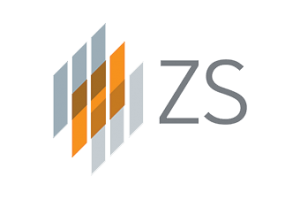 ZS is the world’s largest firm focused exclusively on helping companies improve overall performance and grow revenue and market share through end-to-end sales and marketing solutions—from customer insights and strategy, to analytics, to operations and technology. More than 4,500 ZS professionals in 22 offices worldwide draw on deep industry and domain expertise to deliver impact for clients across multiple industries.